Boost the performance of Support Champion Ying in Paladins. In Paladins, players have been searching for the best deck build options for Ying. As a Support Champion, Ying plays a key role in aiding her team to victory through her healing abilities. While popular, Ying is also one of the harder Support Champions to play in Paladins. Because of this, it can be tricky figuring out what deck builds work and which don’t. To help, we’ve put together a quick guide on the best deck build for Ying in Paladins. The cards above comprise one of the best deck builds for Ying in Paladins. 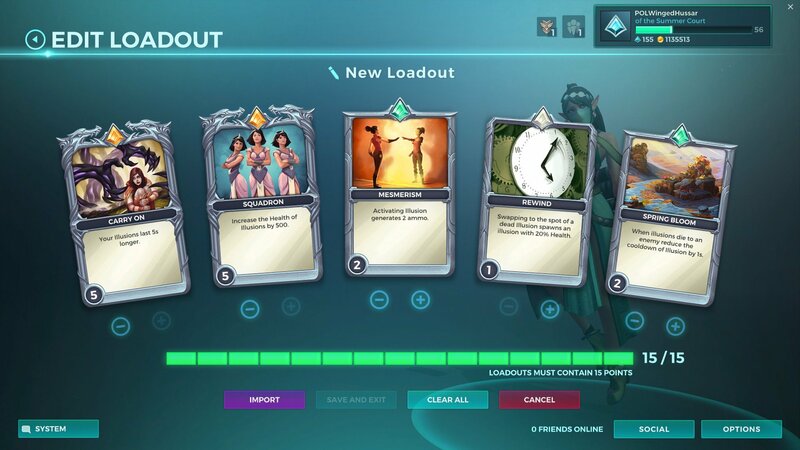 Based on the cards in the image above, the best deck build for Ying in Paladins is one that enables Ying to play more aggressively. To be a great Support Champion, you’ll need to be able to keep yourself alive during a match. Resonance: If an Illusion is killed or expires, it triggers a Shatter explosion dealing 500 Damage. Spring Bloom: When Illusions die to an enemy, reduce the cooldown of Illusion by 0.5-2.5s. Spring Forward: Increase the duration of Directional Link by 0.7-3.5s. Harmony: Heal for 13-65% of the damage dealt by Shatter. Carry On: Your Illusions last 1-5s longer. Rewind: Swapping to the spot of a dead Illusion spawns an Illusion with 20-100% Health. Illusory Mirror: Fires a continuous beam for a short period that deals 5 ticks of 90 Damage over .2 seconds every .5 seconds. Effective up to Medium Range. Shatter: Shatter all active Illusions, causing them to chase down enemies and explode for 500 Damage. Illusion: Create an Illusion that heals a nearby ally for 420 every second. Dimensional Link: For 4s, swap locations with the furthest Illusion. If none are deployed, it will take Ying to the last active Illusion. Illusory Rift (Ultimate): Apply a buff on all allies that heals for 600 Health per second for 8 seconds. While this buff is active, Dimensional Link may now teleport you to any ally. Again, Ying can be a complicated Champion to use effectively in Paladins. Not only can she heal allies through her Illusions, but she can also teleport between them and use them to deal Damage to nearby enemies. Illusions can be shot down by enemies, so cards like Spring Bloom help as it reduces the cooldown of Illusion, thereby allowing you to place more and continue healing allies. Of course, there are other ways to play Ying outside of focusing on Illusion. 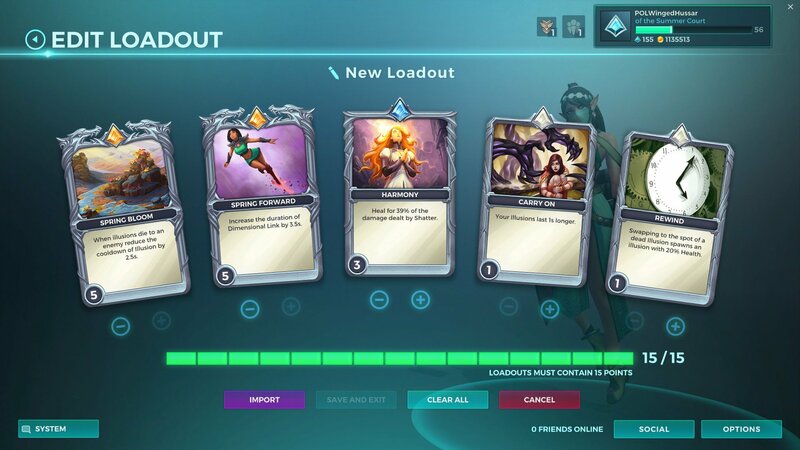 If you’re looking for an alternative Ying deck, you can give the following a try in Paladins. To buff Ying's healing capabilities, you can also give this alternative deck build a try in Paladins. Life Exchange: Shatter now instantly heals your target for 800 Health per active Illusion, but consumes your Illusions. The cooldown of Shatter is reduced by 1s. Squadron: Increase the Health of your Illusions by 100-500. Mesmerism: Activating Illusion generates 1-5 ammo. Rewind: Swapping to the spot of an Illusion spawns and Illusion with 20-100% Health. While the alternative deck build for Ying utilizes similar cards to the main deck build we suggested, it functions a little differently. Using the alternative deck build above, you should be able to increase your effectiveness as a healer. Things to keep in mind while playing Ying in Paladins is that her primary role is as a Support Champion. Support Champions are often squishier than Front Line or Damage Champions, while their movement speed is less forgiving than that of a Flank Champion. Ying’s lifeline are her Illusions, which she can hop between when being targeted by an enemy or enemies. As such, you’ll want cards in your deck that aid Ying in creating Illusions, and keeping those Illusions functional. With a bit of practice and deck experimentation, you’ll be able to master Ying’s unique play style in Paladins. For more on Paladins, be sure to check out some of our previous guides including how to unlock new Champions in Paladins, the best Paladins Champions to play in each class, and the best deck build for Tyra in Paladins! By reading through this guide, you should now know the best deck build for Ying in Paladins.